Did he ever really want it? 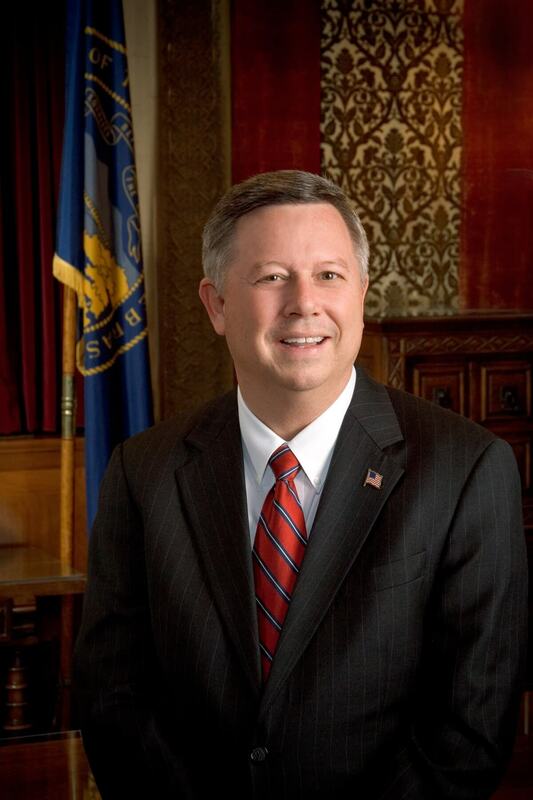 When Governor Dave Heineman told the federal government on Nov. 15 that Nebraska would pass on running its own health insurance exchange, he pointed to cost and lack of control. It was a very different Governor from the one who had presided over a public meeting featuring invited panels of health insurance executives and agent/brokers just 10 weeks earlier. Industry was ready, but the governor’s rhetorical side notes prior to the presidential election then, and now that he’s made a decision, raises the question about how diligently Nebraska tried to prepare. At the public meeting on Sep. 6, the Governor and officials of the Insurance Department faced the room on a raised dais, the chief executive officers of Nebraska’s largest health insurers sat with their backs to the room. Unlike the standard set by the hundreds of hearings held every year by the Nebraska legislature, there was no agenda, the people on the dais were not identified, nor were speakers asked to identify themselves for the record. No official record was made. Resolute and business-like, United Healthcare CEO William Tracy emphasized dates and facts and how his company would meet the challenges of preparing for the exchange even if it was not, he said, “as easy as one wants.” Coventry Health Care of Iowa and Nebraska CEO Michael Nelson spoke next, concluding that he favored a state-run exchange reflective of “local sensibilities.” He believed the exchange should be funded from user fees collected outside the premium base. Blue Cross and Blue Shield of Nebraska CEO Steve Martin advised transparency in putting together an exchange and also spoke in favor of a state-run exchange. An energized Governor Heineman then took his turn. “We lost Nebraska sovereignty the day they passed this bill. We have to go to the Secretary of Health and Human Services (USHHS) on bended knee,” he opened. “There are too many unknowns. Do you really believe this can be implemented on time?” he asked the CEOs. According to the Kaiser Family Foundation tally of District of Columbia and state decisions on health insurance exchanges, 17 states have now declared for a state-based exchange, 15 have defaulted to a federal exchange, 13 remain undecided–the federal government extended the deadline to December 14–and 6 are planning for an exchange in partnership with the federal government. At the formal press conference announcing his decision last week, Heineman delivered familiar themes. He opened with “the majority of Nebraskans oppose the new federal health care law.” However, he said, with the elections over, it was time to focus on policy. Noting that he initially thought a state exchange would be preferable because Nebraska would be in control, he said “it became apparent that the Affordable Care Act contains one federal mandate after another. On the key issues, there is no real operational difference” between a federal and a state exchange. USHHS had not completed its own rules and regulations for the program, he said, so the states know how to proceed. He had written to USHHS Secretary Sebelius on September 6, 2012, and never received a response. After the prepared remarks, the Governor, responding to questions, told reporters that Nebraska’s proposal for minimum standards for health insurance plans, submitted Oct. 1, had not been accepted by USHHS. What guidance is available, the governor is bucking. USHHS issued an “Essential Health Benefits Bulletin” on Dec. 16, 2011 to fill in some of the blanks in the federal law so states and others could move ahead. The bulletin had signaled that states should use the benefits of one of four categories of health insurance plans already in existence and currently being offered in Nebraska. The Governor filed his own plan, a “high-deductible” version requiring an individual policyholder to spend $4,000 a year and a family to spend $8,000 before insurance kicked in, if they used services in an insurer’s network; and twice that for services outside an insurer’s network. For people and families meeting income and other need criteria of the Affordable Care Act, financial subsidies would have applied toward insurance premiums but not deductibles. Advocacy group Nebraska Appleseed questioned the proposal at the time, observing that setting deductibles too high would still put health insurance out of reach for many people. State Senator Jeremy Nordquist of Omaha was pithier. He suggested the Governor didn’t understand what affordability was and bemoaned the lack of public process in the making of the Governor’s proposal.